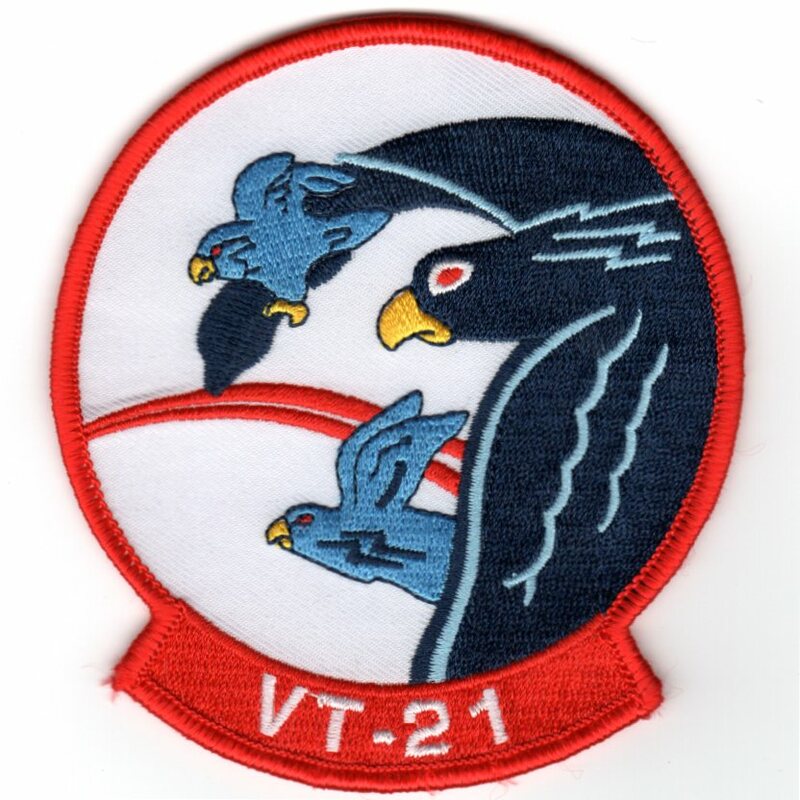 This is the squadron patch for VT-21, the "Fighting Redhawks" of Flight Training Squadron TWENTY-ONE which has been a mainstay of Naval Aviation for over 57 years. Originally established as advanced training unit two-zero-two in April 1951, the squadron was re-designated as Flight Training Squadron-Two One on May 21 1960. The first Navy and Marine Corps students were trained in the F-6F Hellcat. In May 1954, the squadron transitioned to its first jet aircraft, the F-9F Panther with the squadron later operating the F-9F8 cougar, TA-4J Skyhawk and, in Feb 1992, making the final transition to the T-45 Goshawk. This patch does not have velcro attached. This is a "FELT" reproduction of the historical squadron patch for VT-21. The "Fighting Redhawks" of Flight Training Squadron TWENTY-ONE have been a mainstay of Naval Aviation for over 57 years. Originally established as advanced training unit two-zero-two in April 1951, the squadron was re-designated as Flight Training Squadron-Two One on May 21 1960. The first Navy and Marine Corps students were trained in the F-6F Hellcat. In May 1954, the squadron transitioned to its first jet aircraft, the F-9F Panther with the squadron later operating the F-9F8 cougar, TA-4J Skyhawk and, in Feb 1992, making the final transition to the T-45 Goshawk. This patch does not have velcro attached. 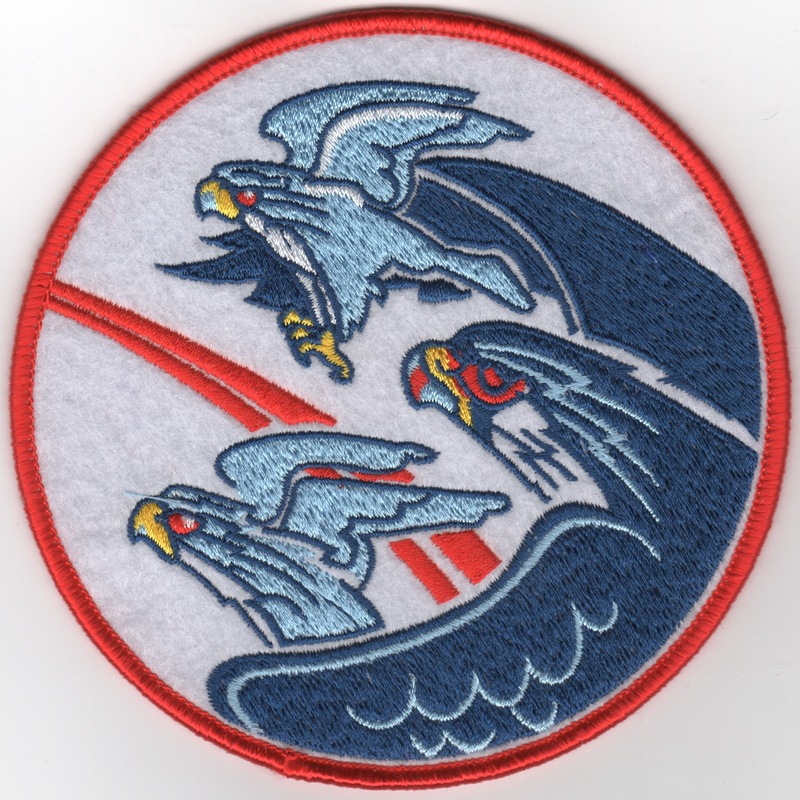 This is a "TWILL" version of the squadron patch for VT-21. The "Fighting Redhawks" of Flight Training Squadron TWENTY-ONE have been a mainstay of Naval Aviation for over 57 years. Originally established as advanced training unit two-zero-two in April 1951, the squadron was re-designated as Flight Training Squadron-Two One on May 21 1960. The first Navy and Marine Corps students were trained in the F-6F Hellcat. In May 1954, the squadron transitioned to its first jet aircraft, the F-9F Panther with the squadron later operating the F-9F8 cougar, TA-4J Skyhawk and, in Feb 1992, making the final transition to the T-45 Goshawk. This patch does not have velcro attached. 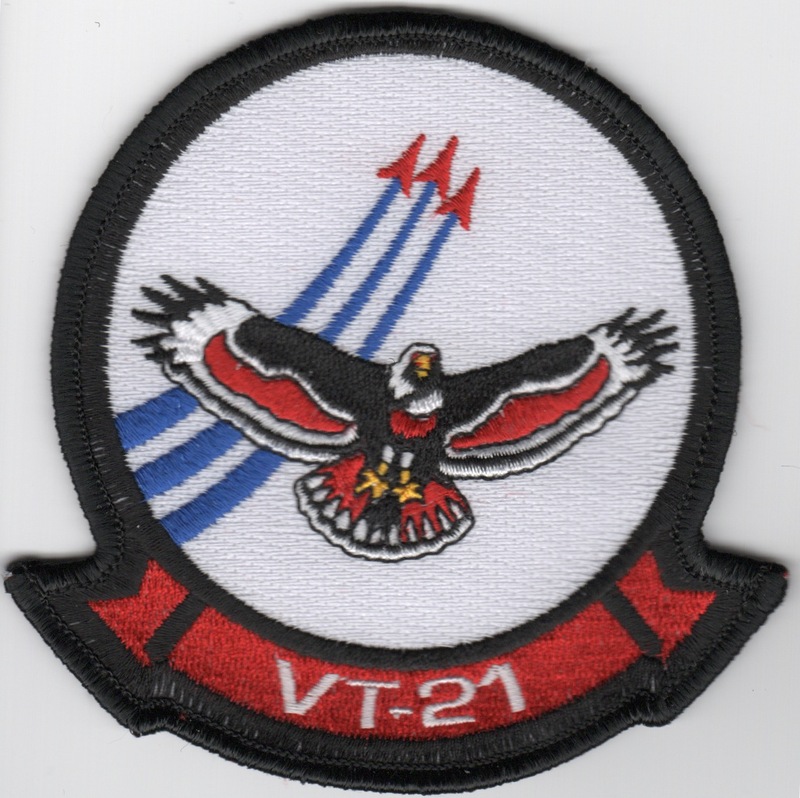 Homepage | Order VT-21 Patches!